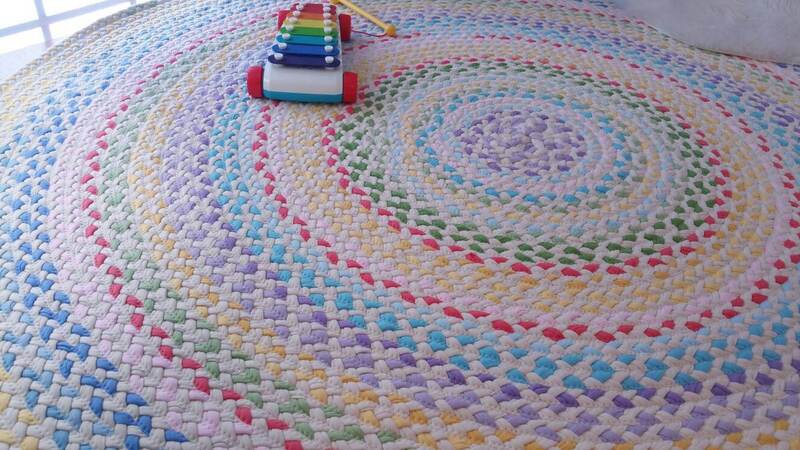 This lovely 100% cotton hand braided nursery rug, is all soft pastel colors. It is hand made 100% cotton, new t-shirts and some new cotton fabric.It is so soft and very durable. 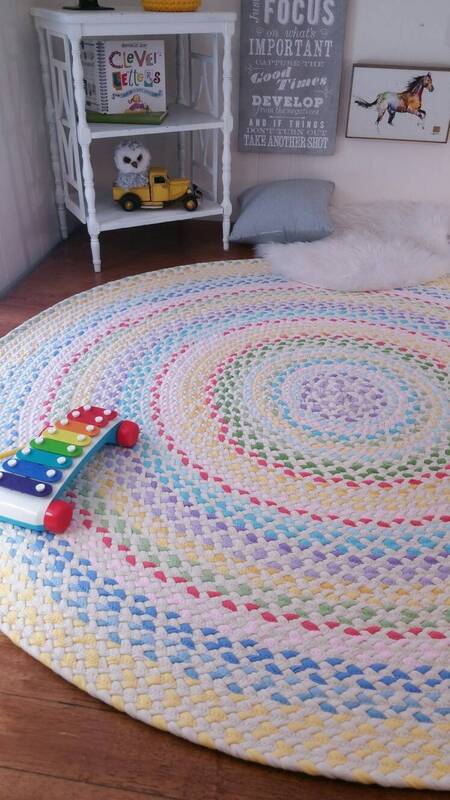 It would look amazing in a child's nursery. 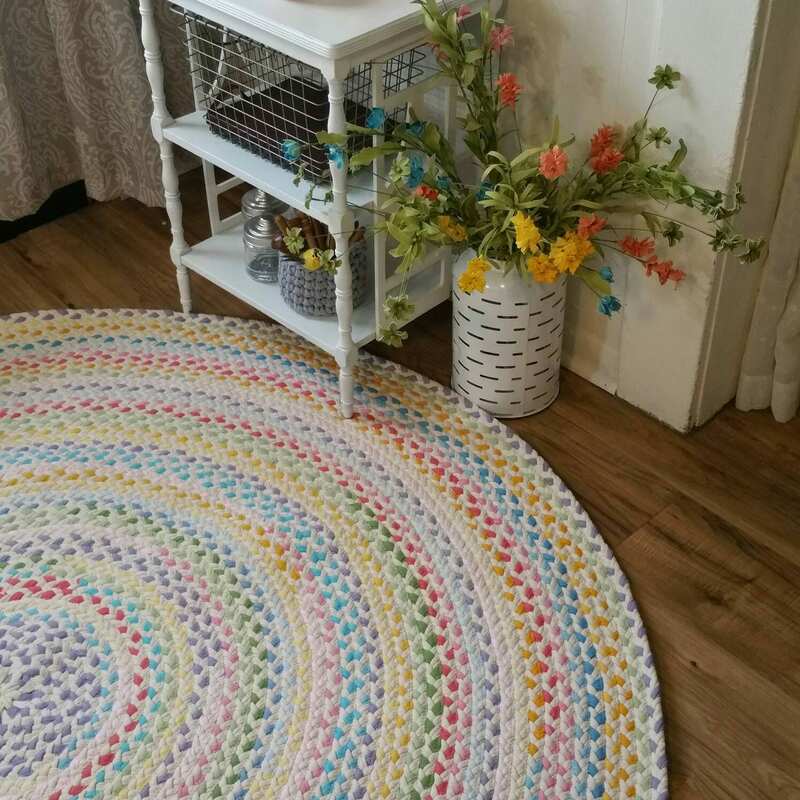 Completely handmade (I have made 700+ rugs), braided and sewn together on a professional grade sewing machine, in a non-smoking environment. 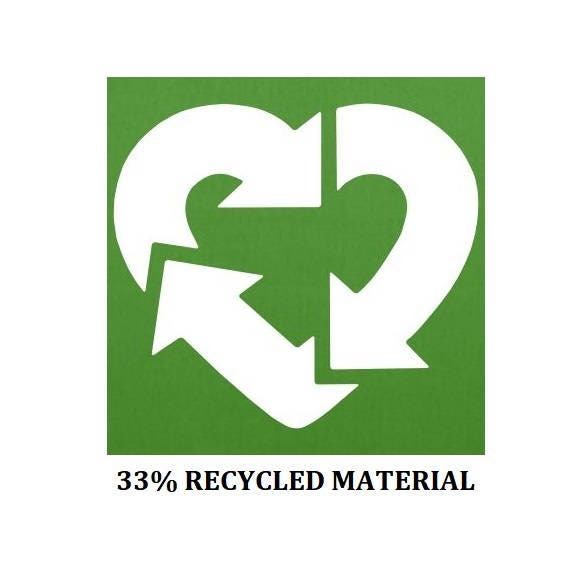 Some fragrance used in fabric softener. Machine washable. ½” thickness. 100% cotton. Handmade in the USA. 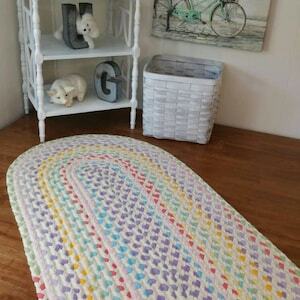 This rug can be customized with your choice of pastel colors! Send me a conversation so we can discuss the colors you would like! 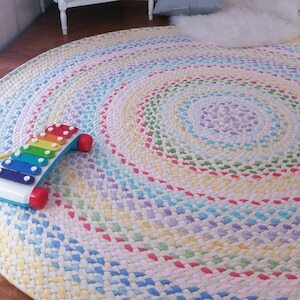 shipping price is based on 60"round rug, smaller rugs will be less, Larger rugs will be more! special thanks to finn photography for her amazing work!